Bethard has recently extended its deal with SBTech after praising the tech supplier’s platform as a key part of their exponential growth for 2019. Under the terms and conditions of the new partnership agreement, Bethard will continue to make use of SBTech’s sportsbooks for a further five years. The Malta-based Nordic operator noted that the impact of the supplier’s pre-match and in-play betting systems was substantial across a number of key markets, including within the United Kingdom. The operator also claims to have achieved a gross revenue increase year-on-year of 324%. 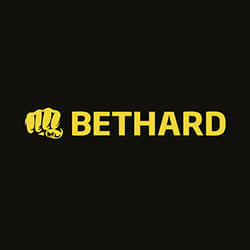 Bethard’s last year has seen them secure licences within Denmark and the UK as part of their aggressive international expansion strategy. They’ve also signed on Swedish football superstar Zlatan Ibrahimovic as a brand ambassador. Chief Executive of Bethard, Erik Scarp, told reporters that their partnership with SBTech has allowed significant growth across key markets, and that they are delighted to have signed a long-term extension as part of their rapid expansion. Bethard has made a number of plans for the coming year, and have recently applied for a licence within the re-regulated market in Sweden. The operator hopes to build on their success of 2018 after claiming to be one of the best performers for the SBTech partner network during the FIFA World Cup. This is also the latest deal for SBTech, who have already signed various important deals, including those with Churchill Downs and New Jersey’s Resorts Casino Hotel in the United States.